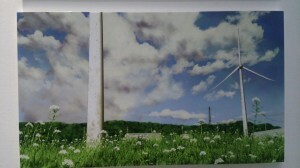 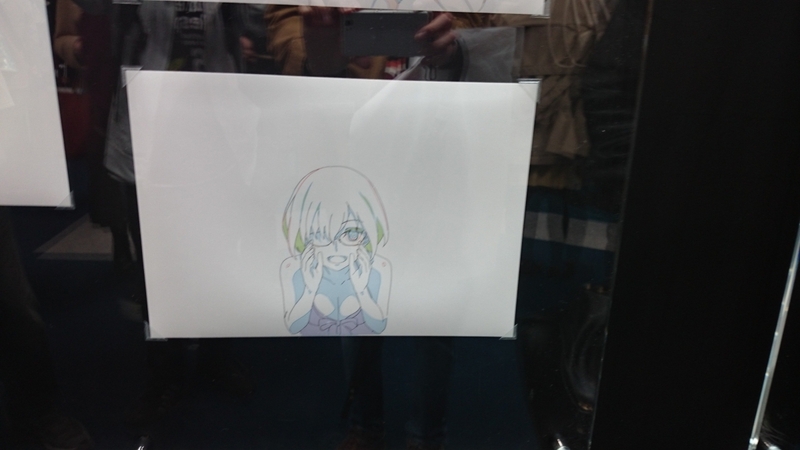 Huge thanks to Kori for accepting our request to take photos of BONES’ megabooth! 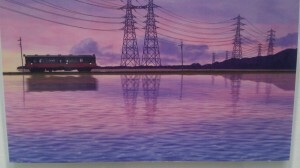 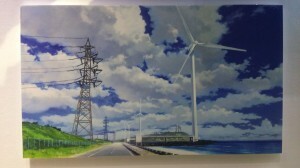 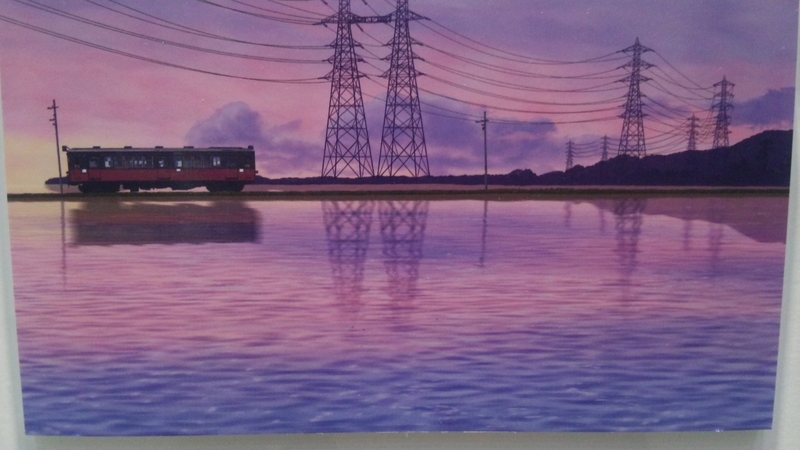 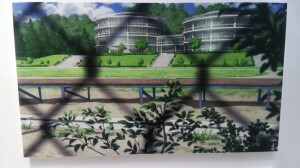 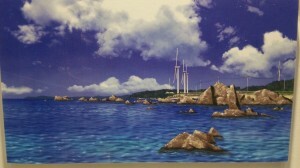 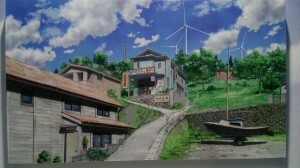 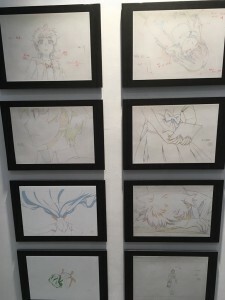 Great drawings from some great anime. 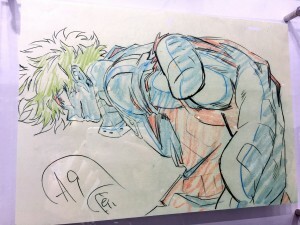 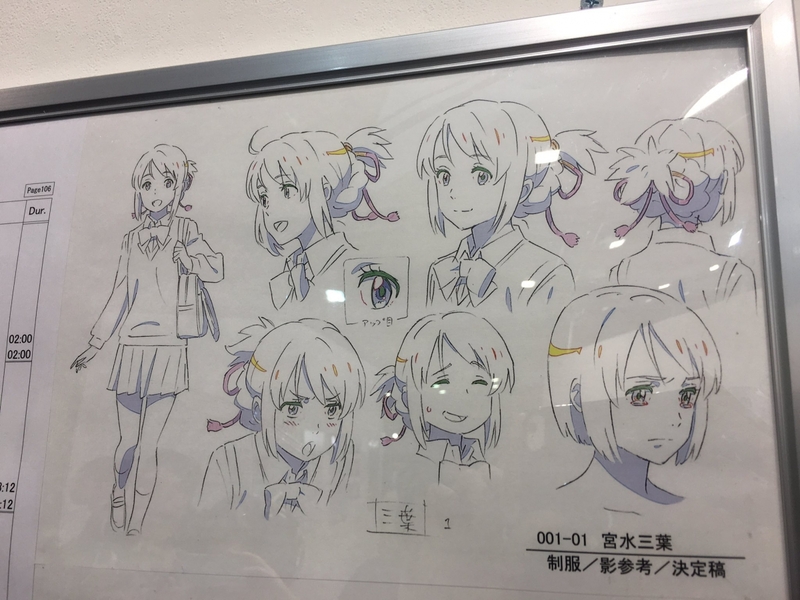 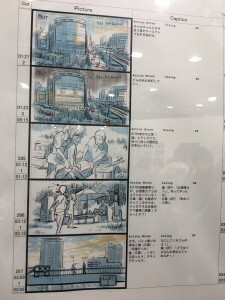 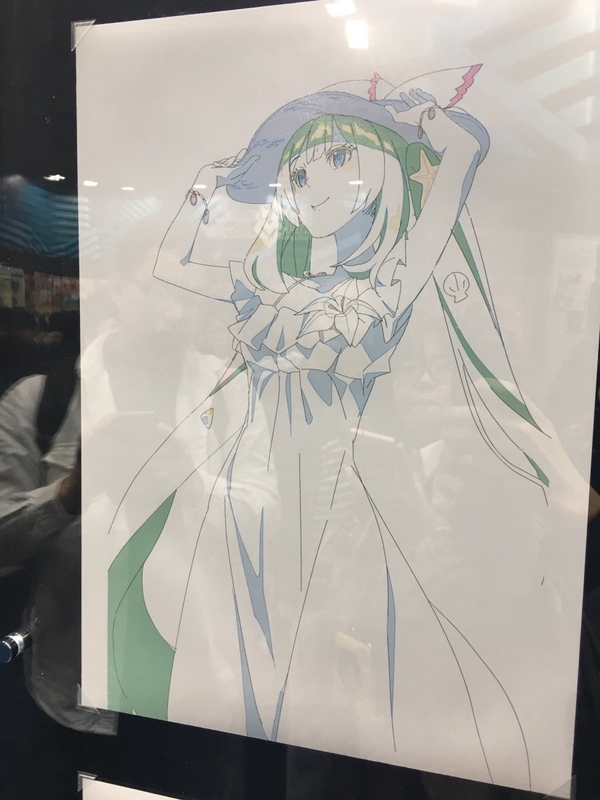 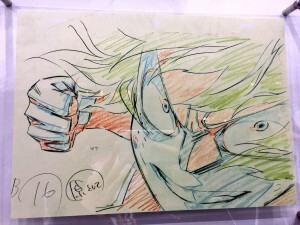 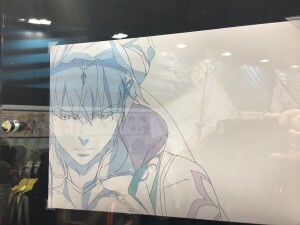 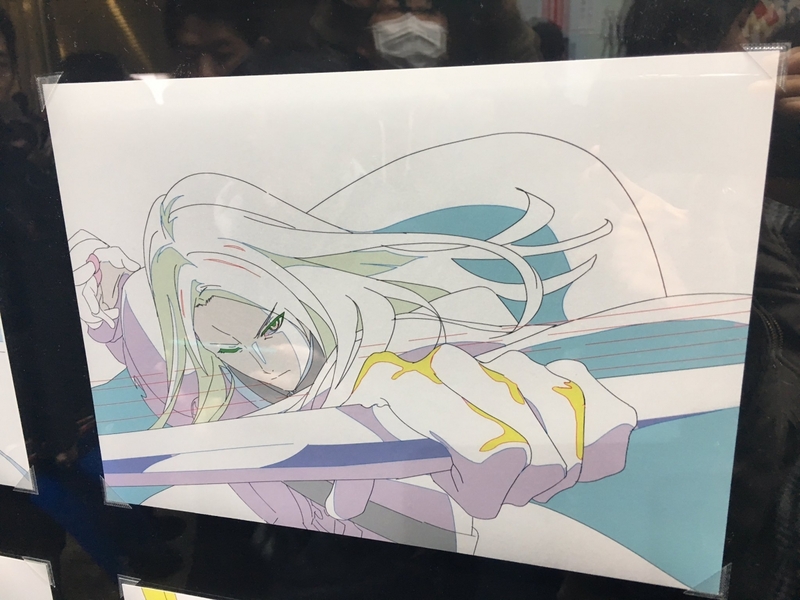 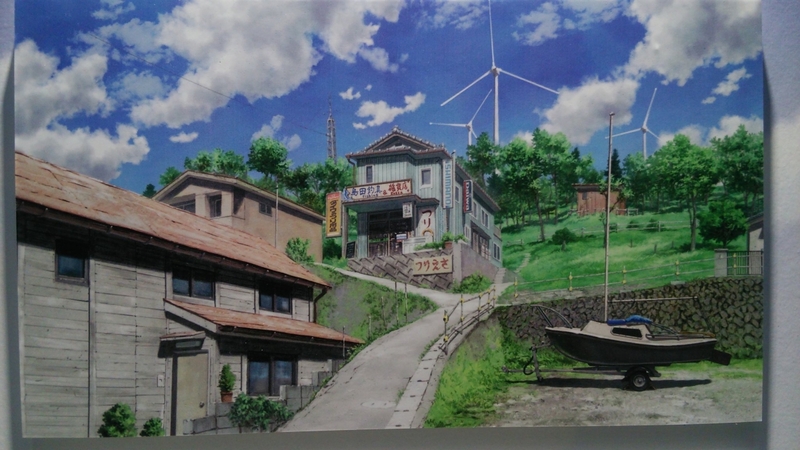 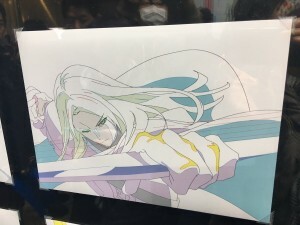 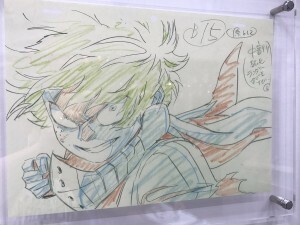 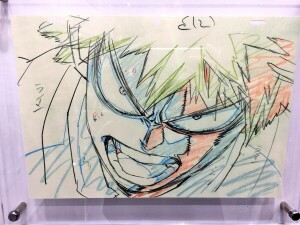 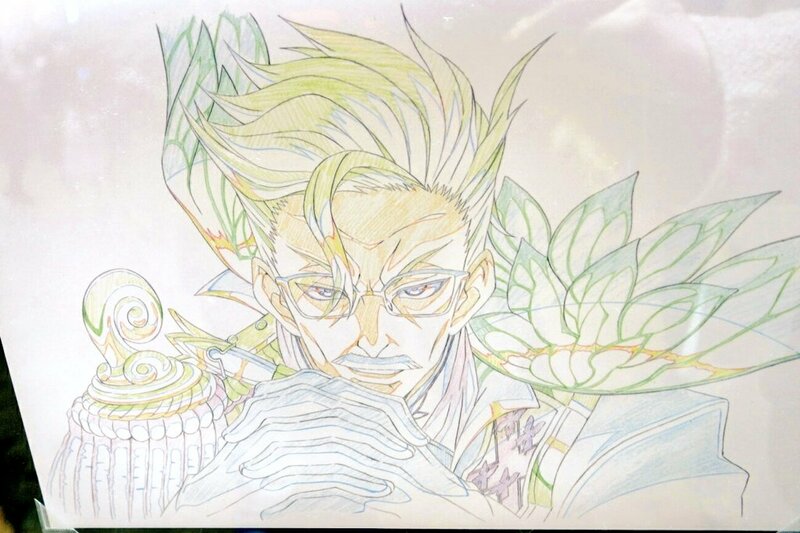 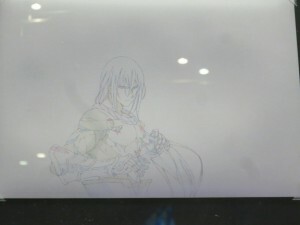 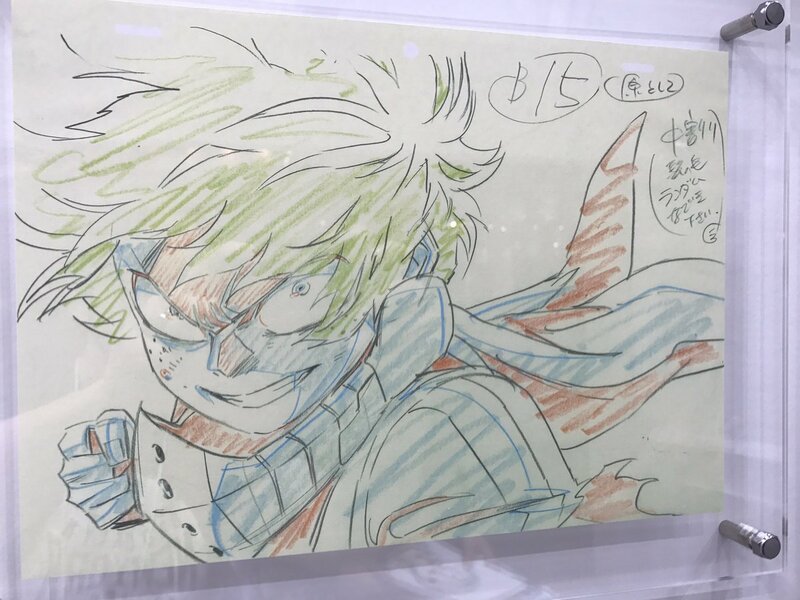 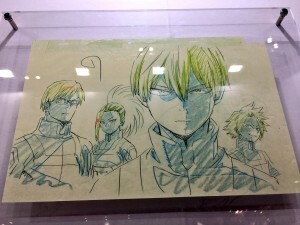 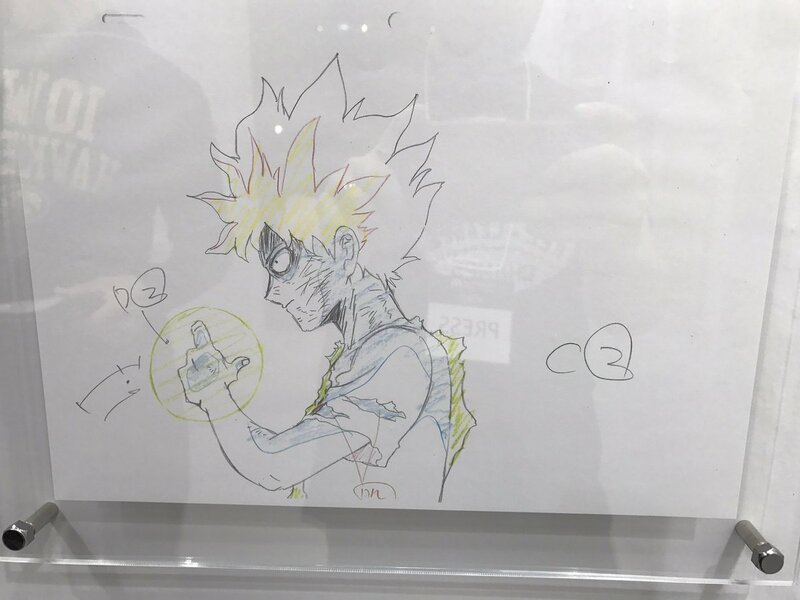 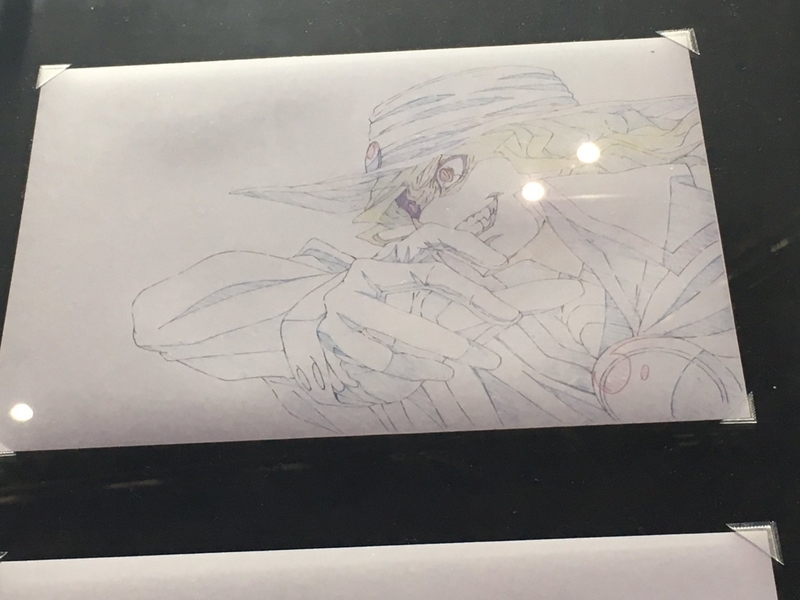 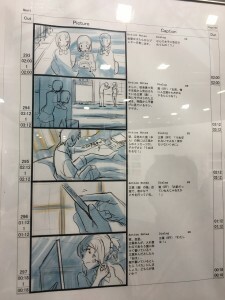 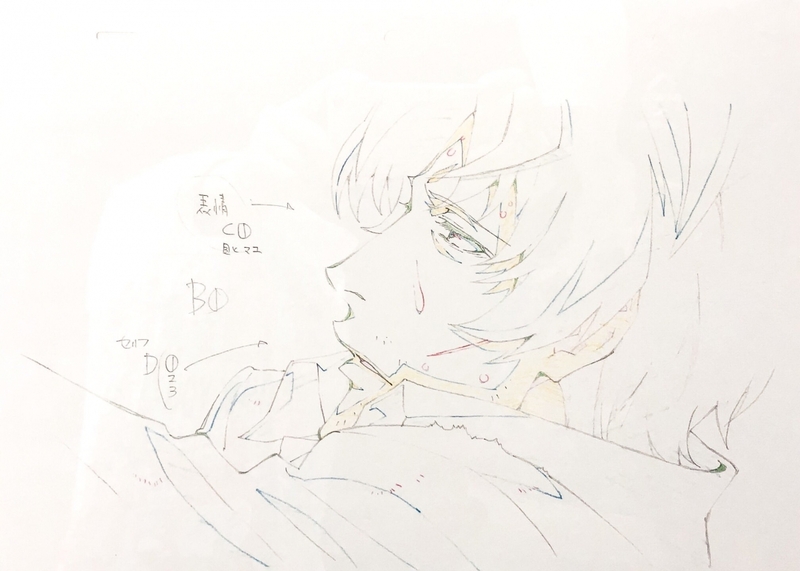 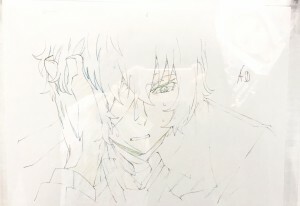 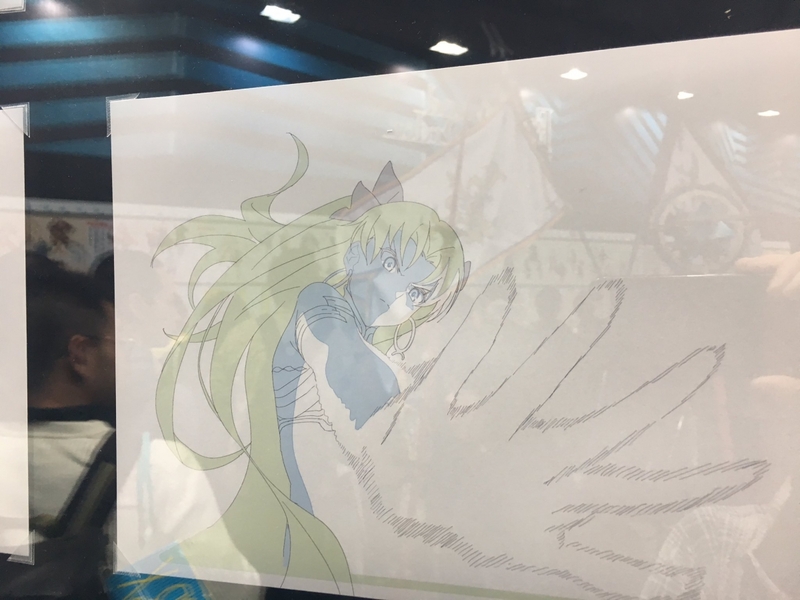 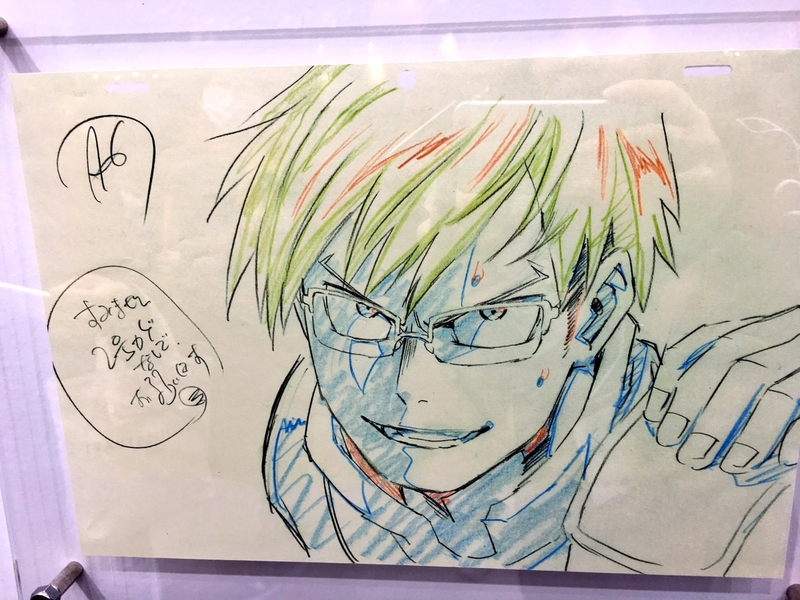 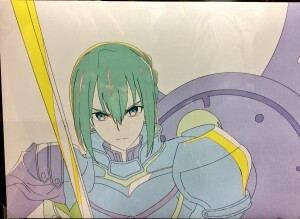 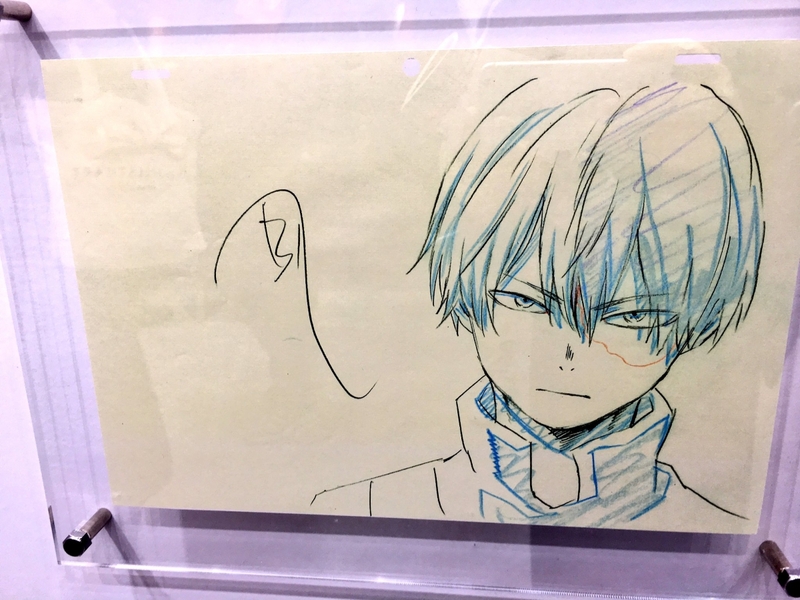 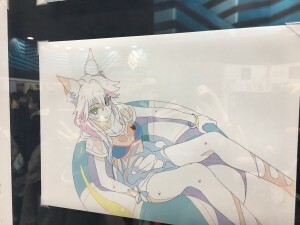 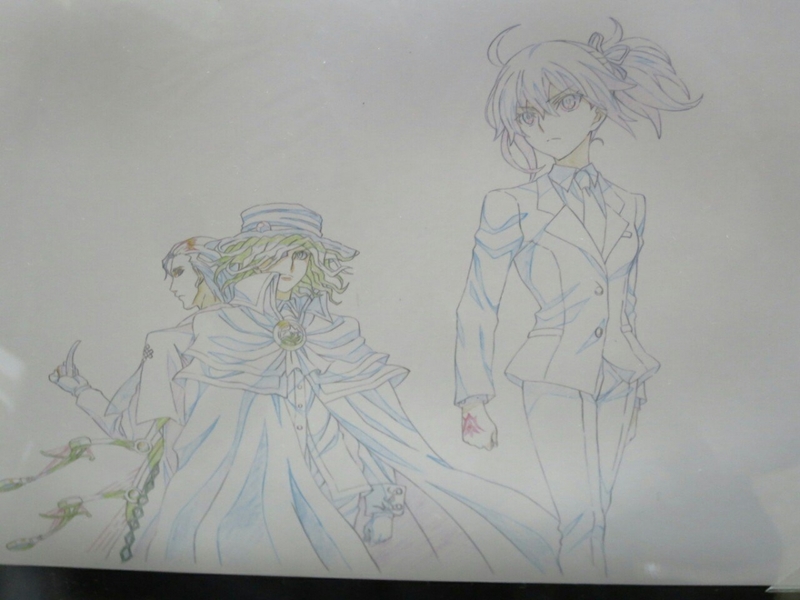 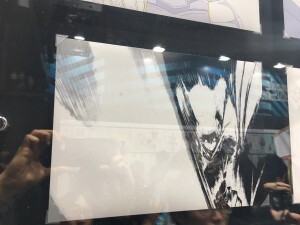 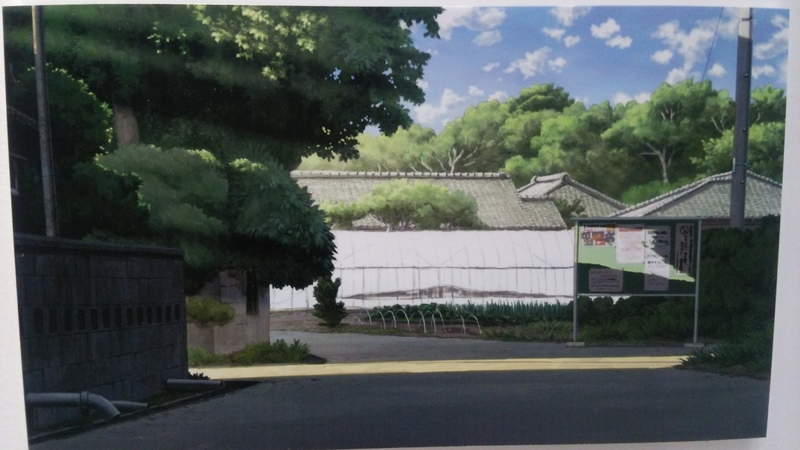 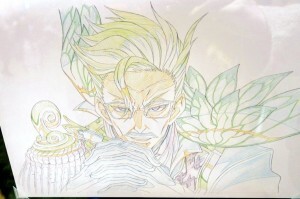 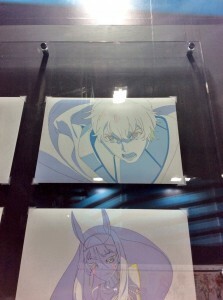 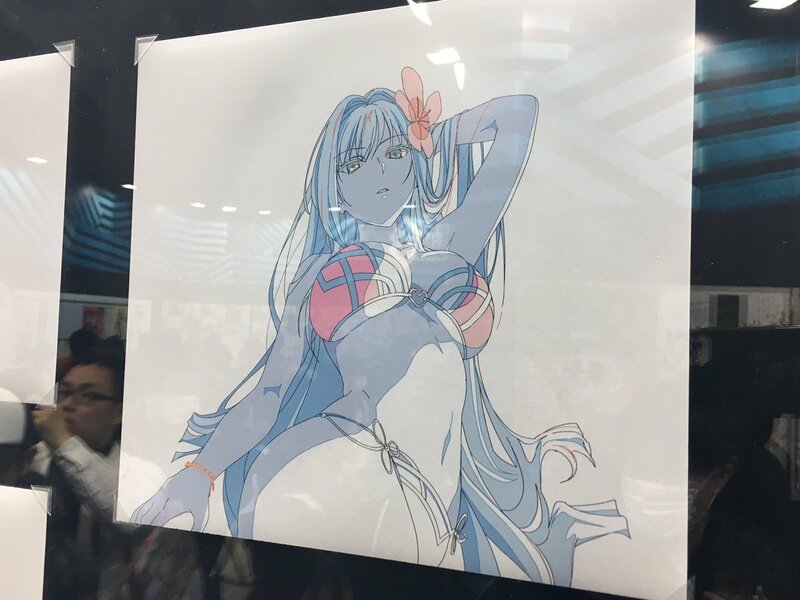 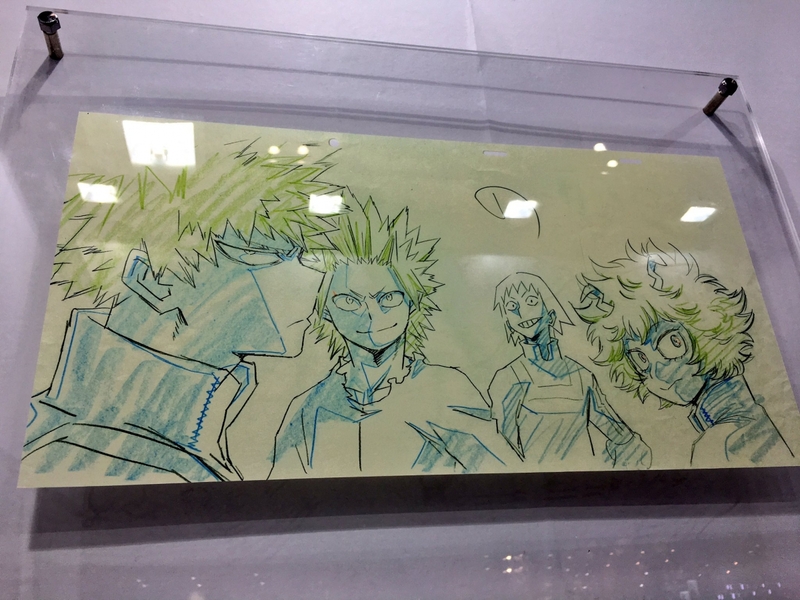 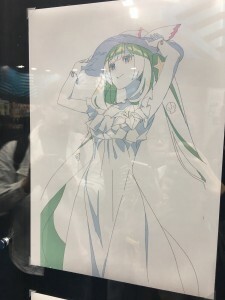 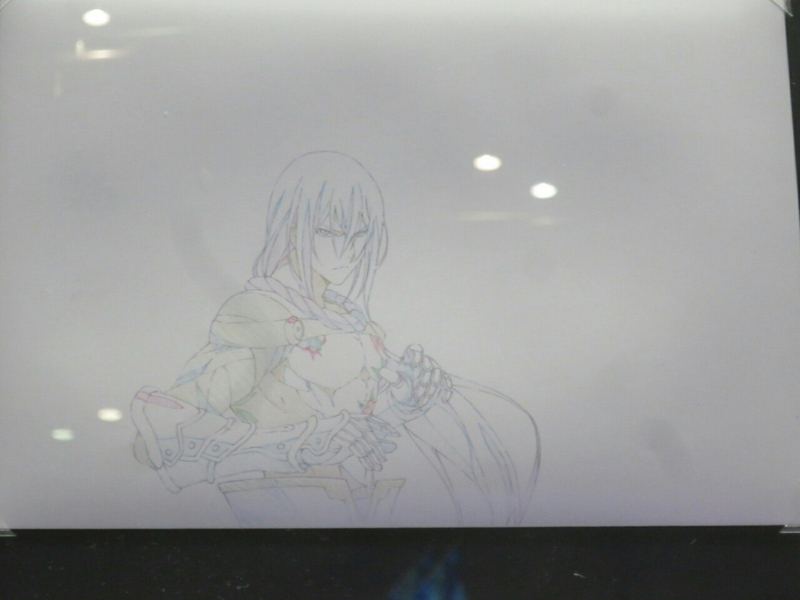 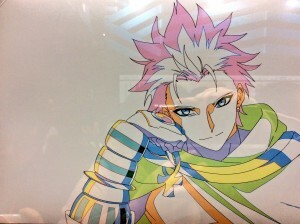 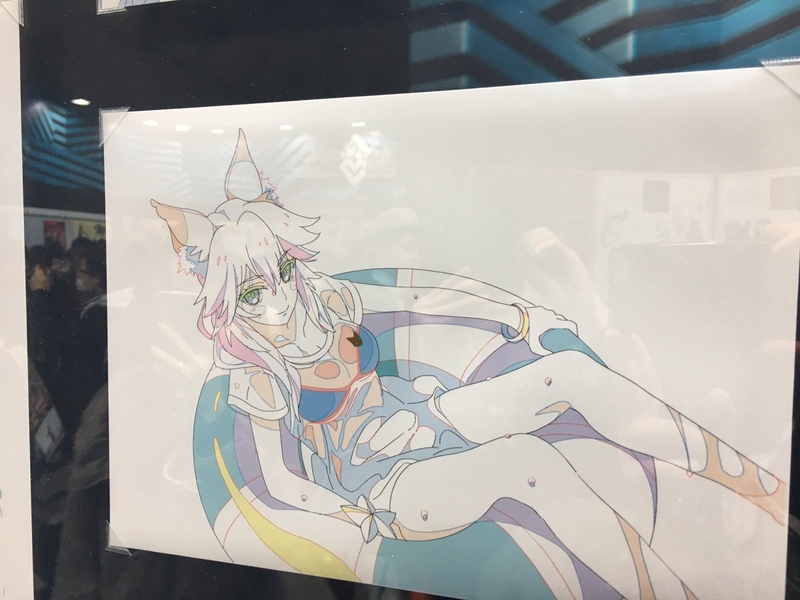 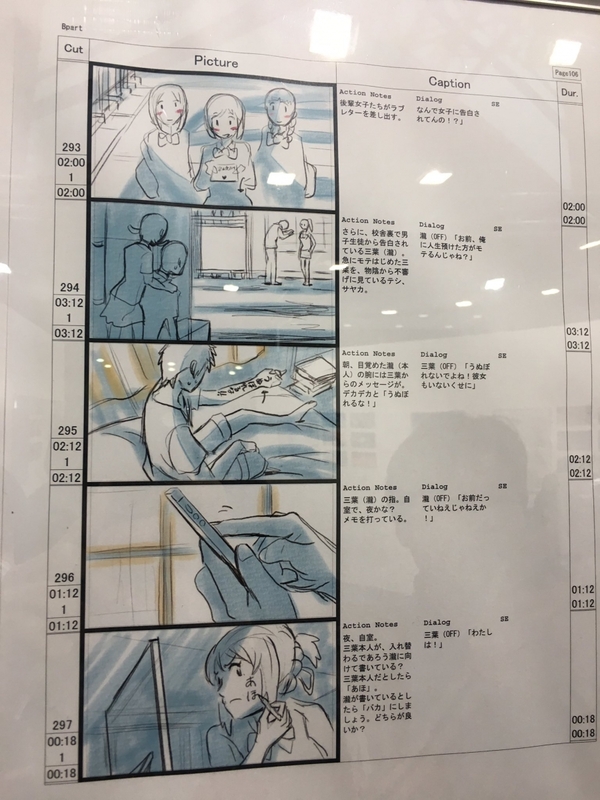 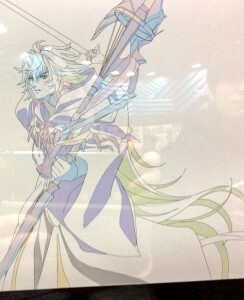 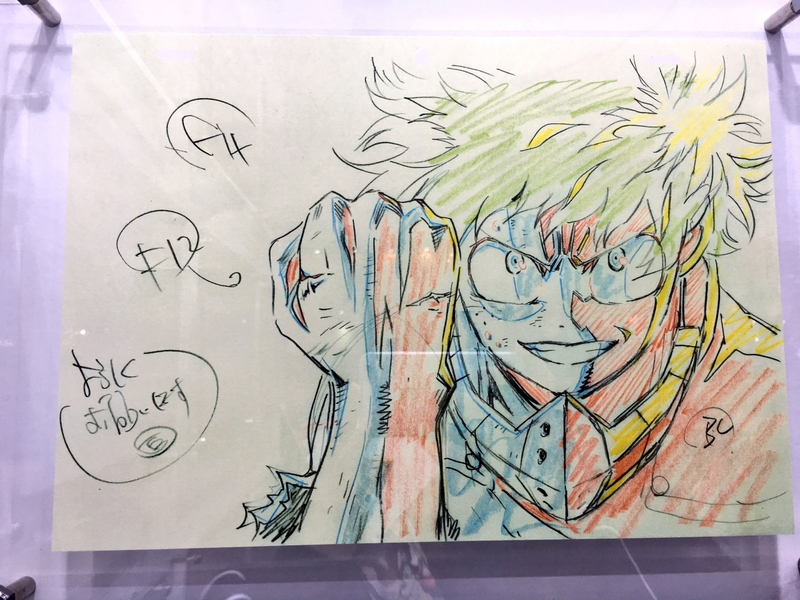 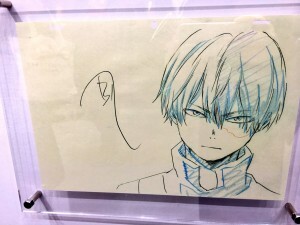 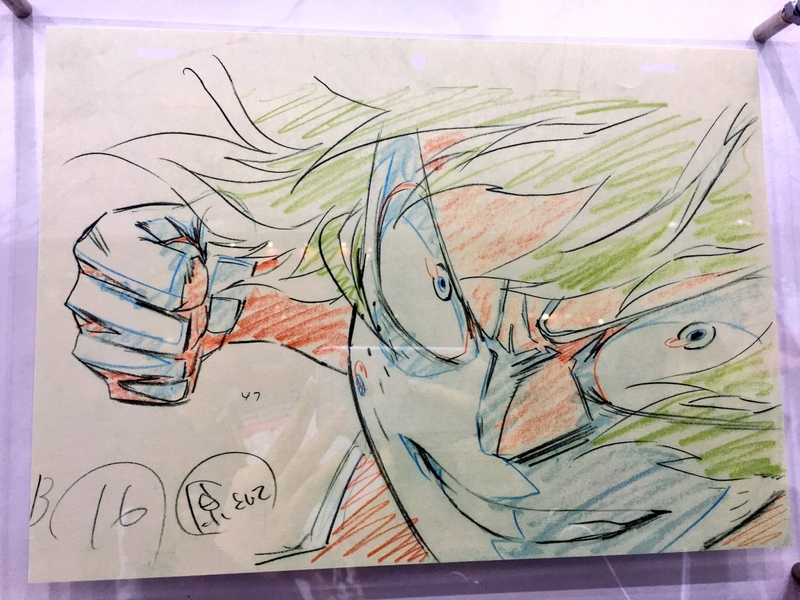 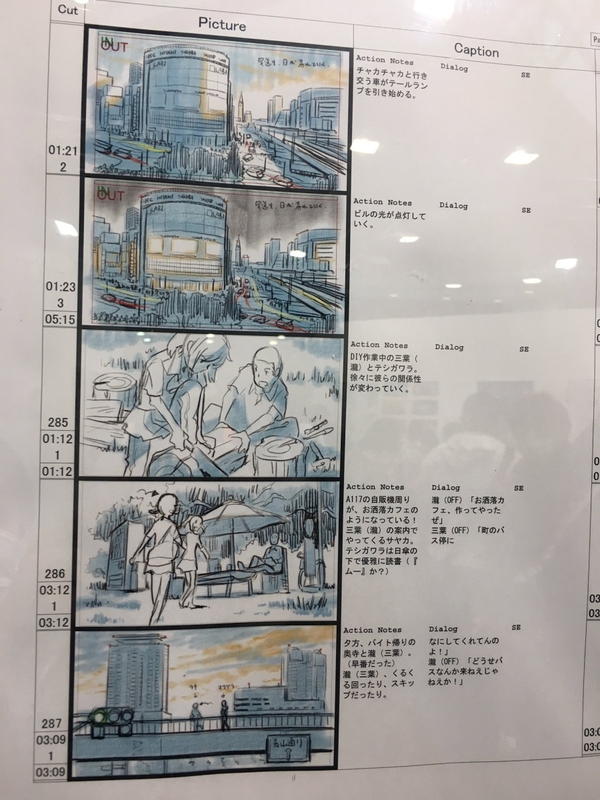 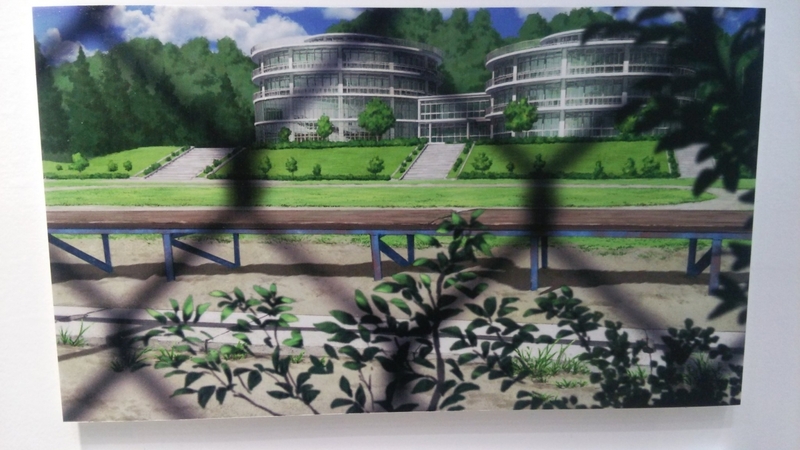 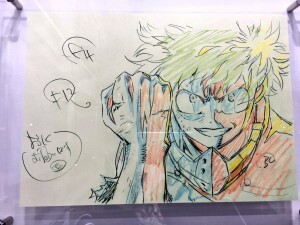 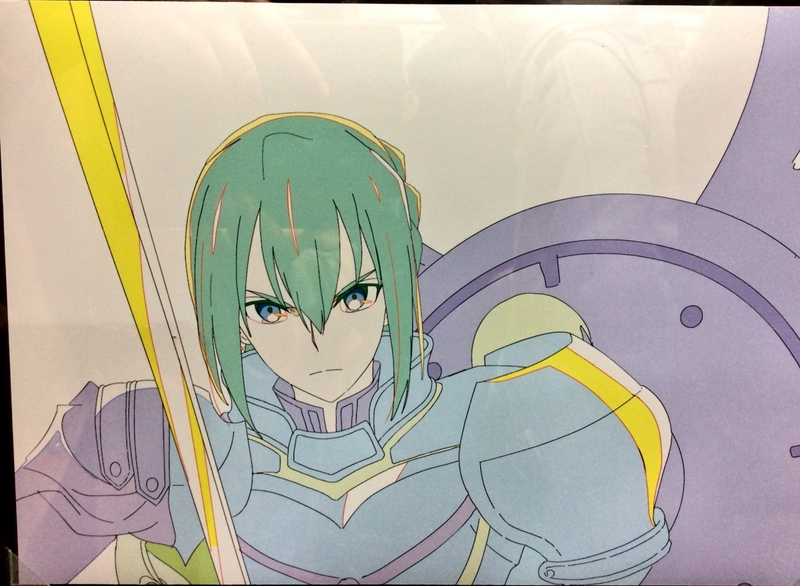 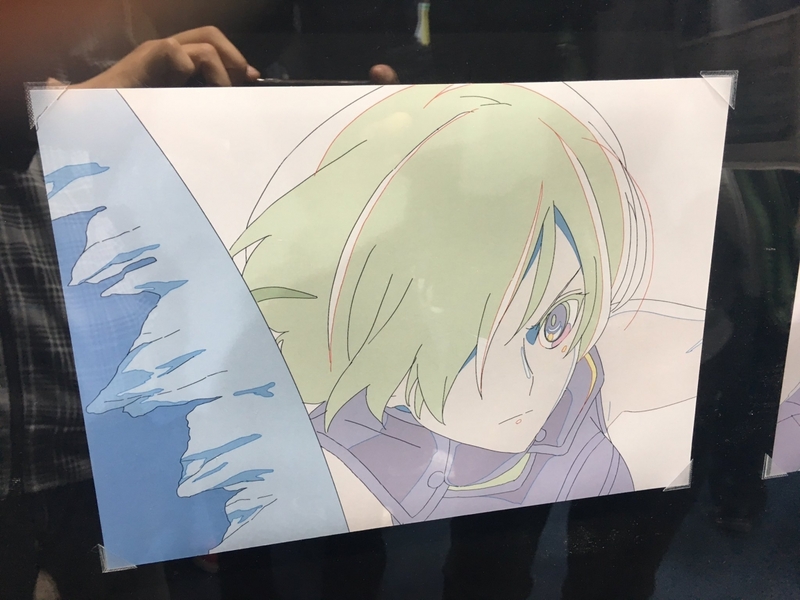 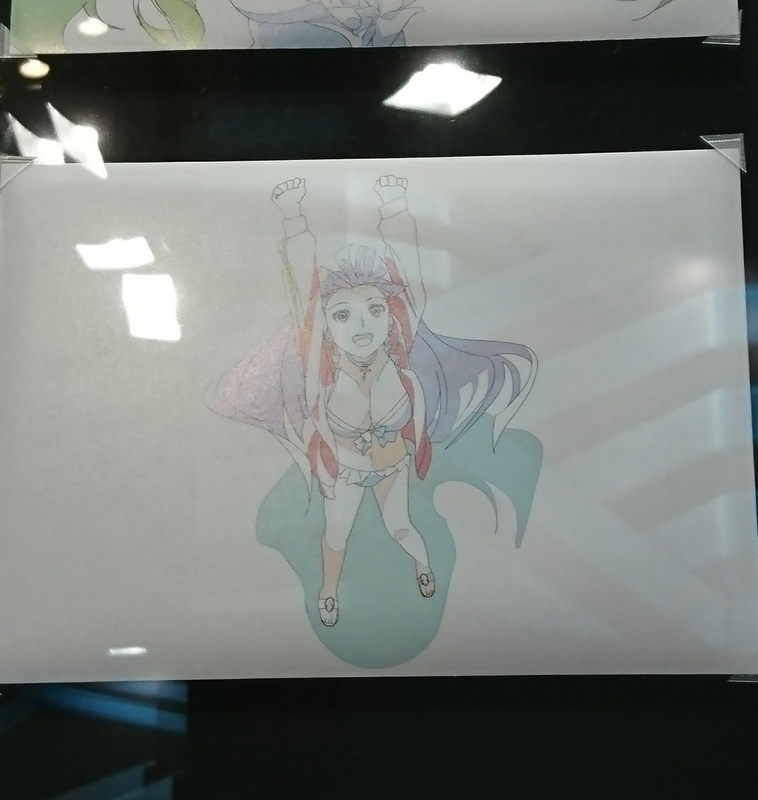 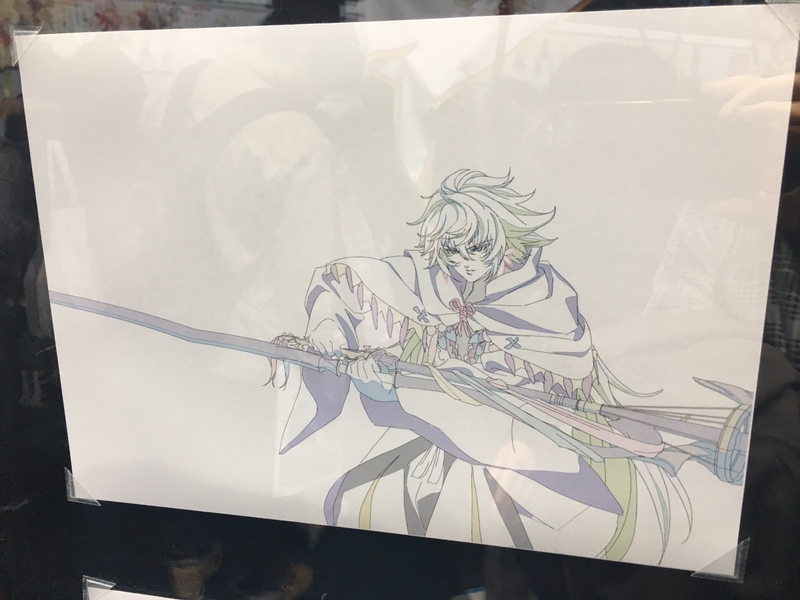 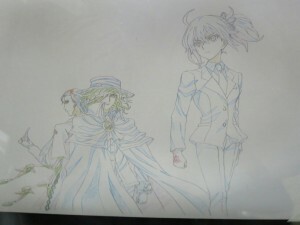 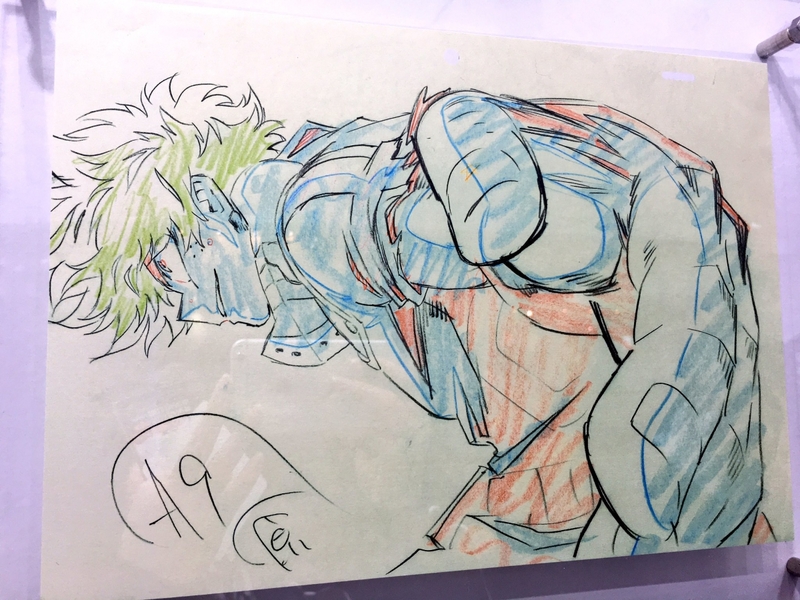 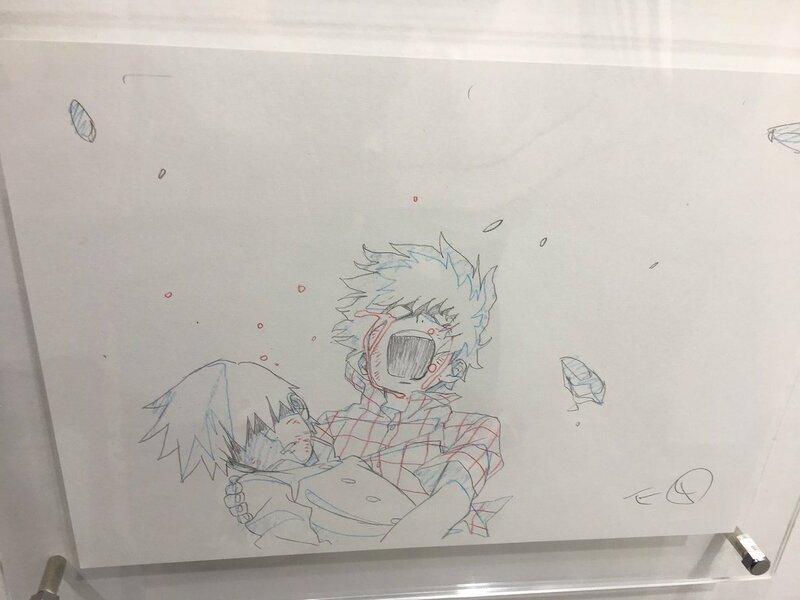 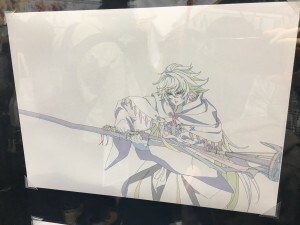 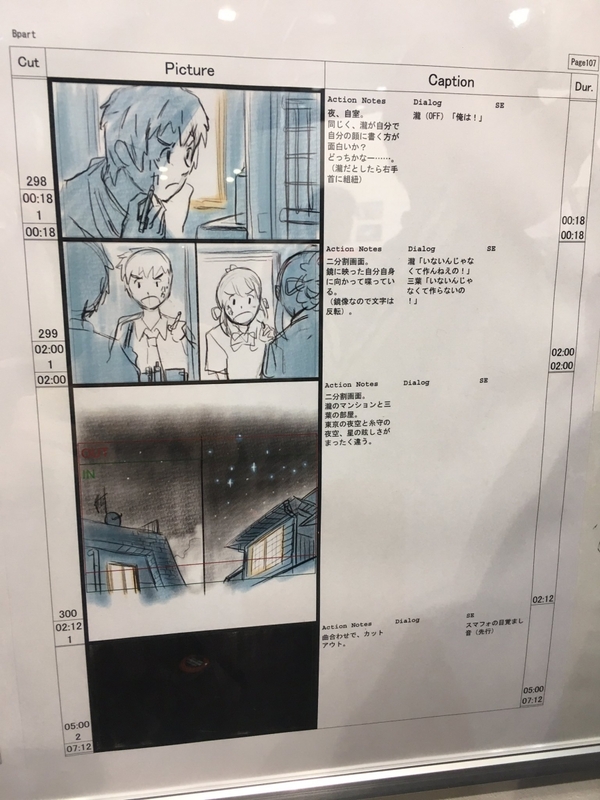 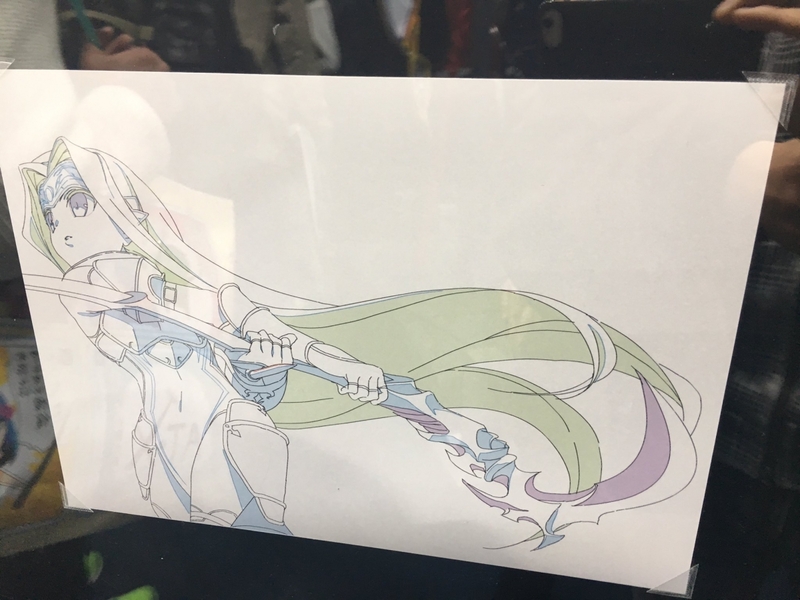 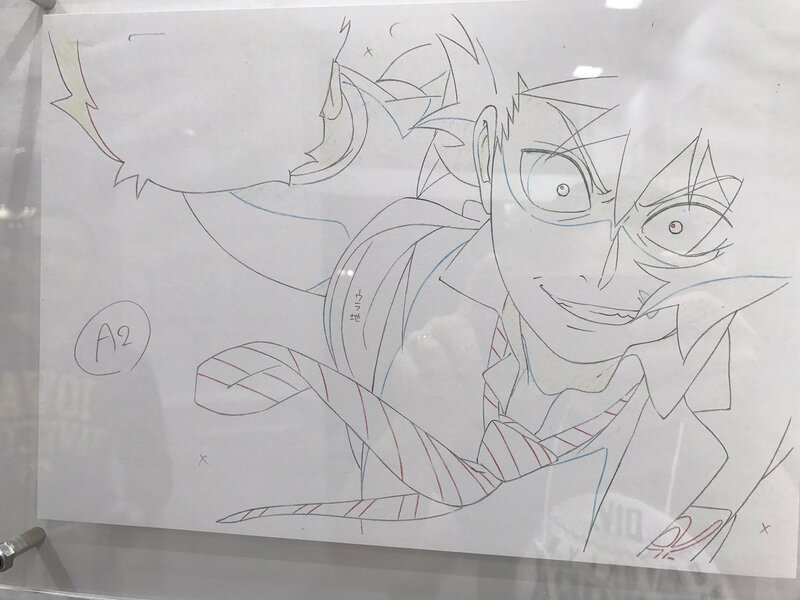 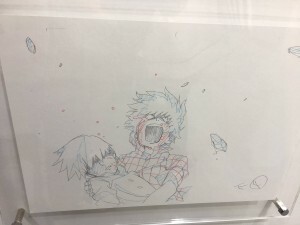 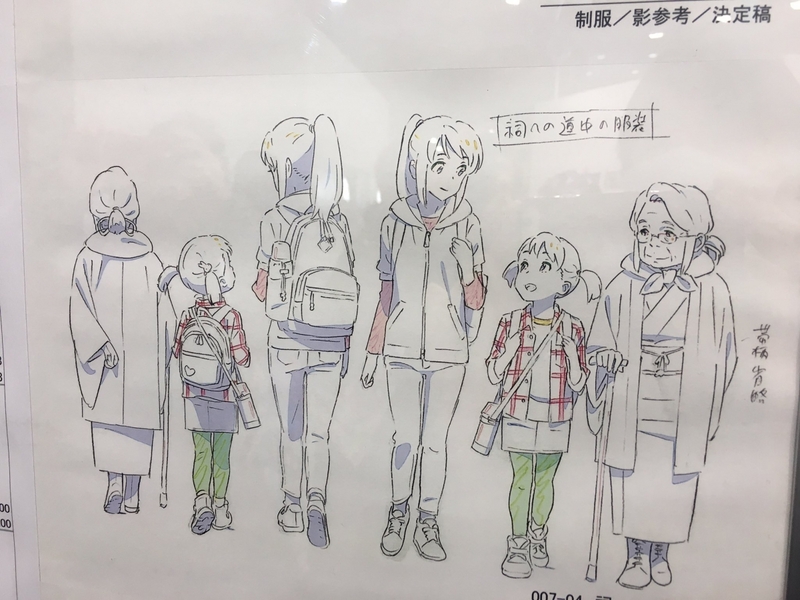 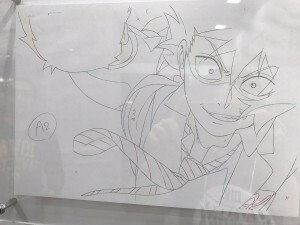 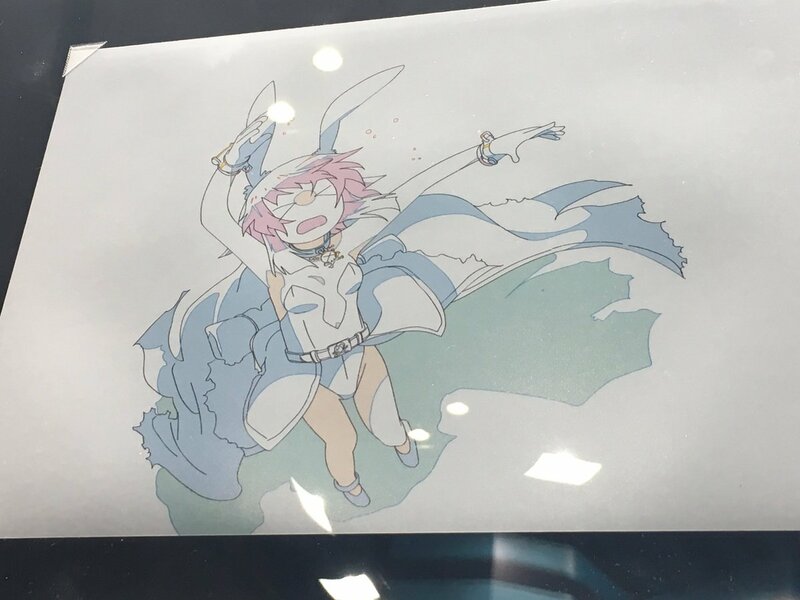 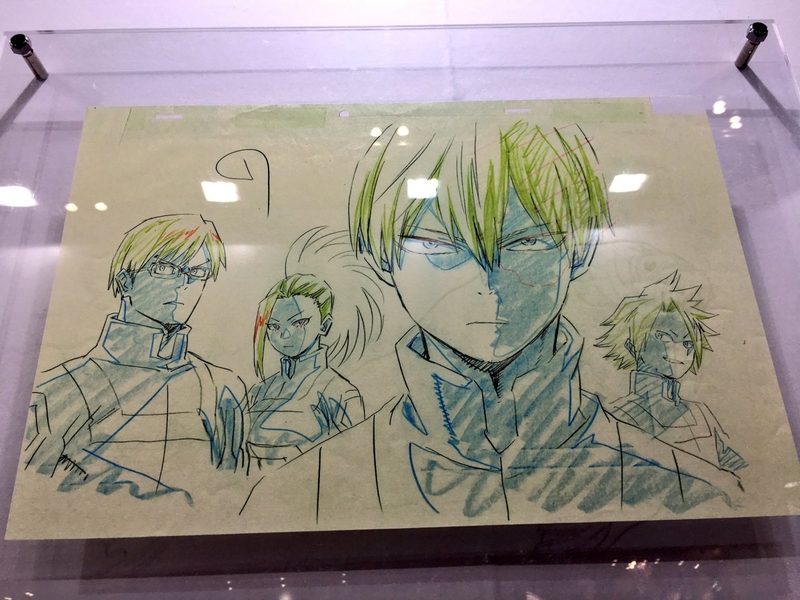 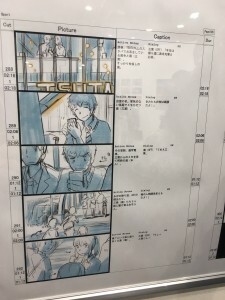 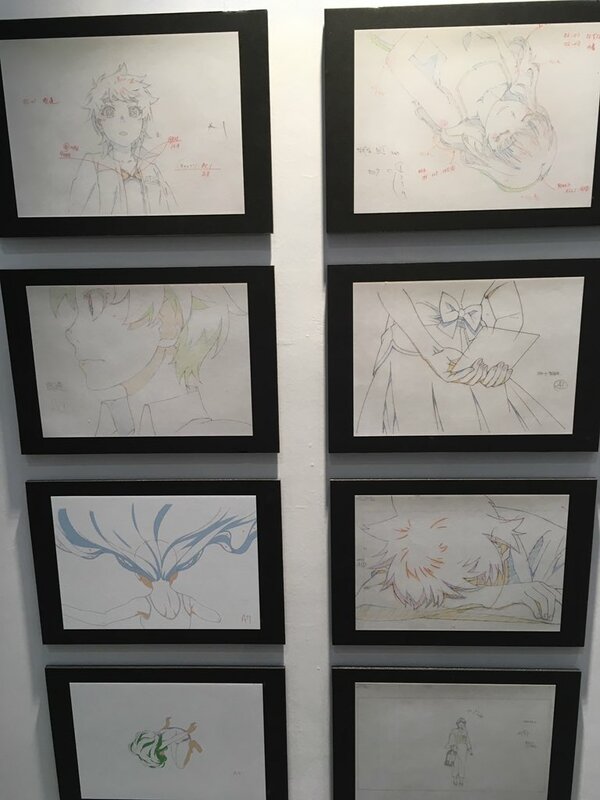 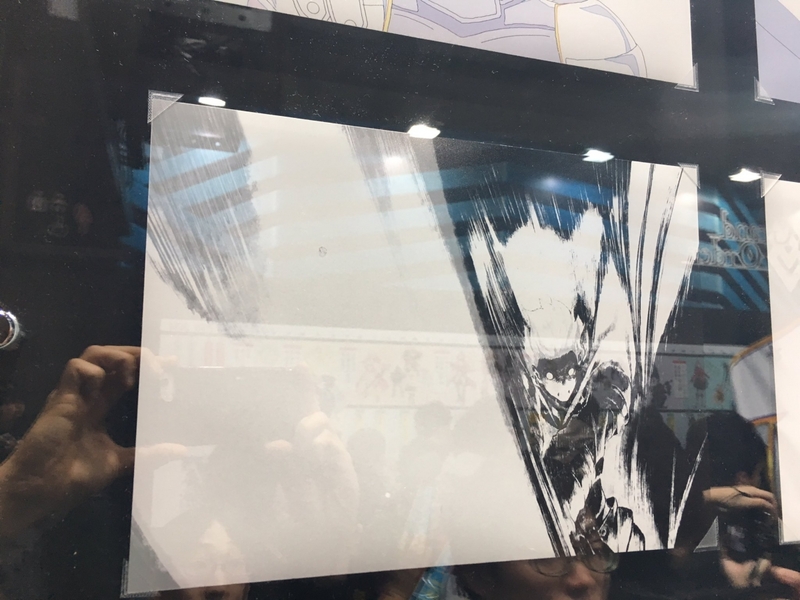 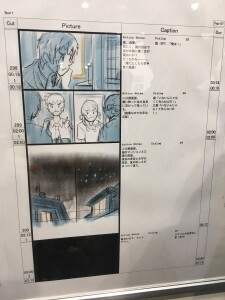 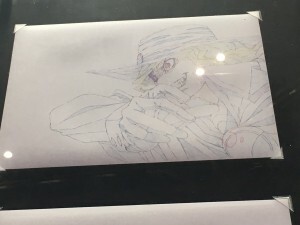 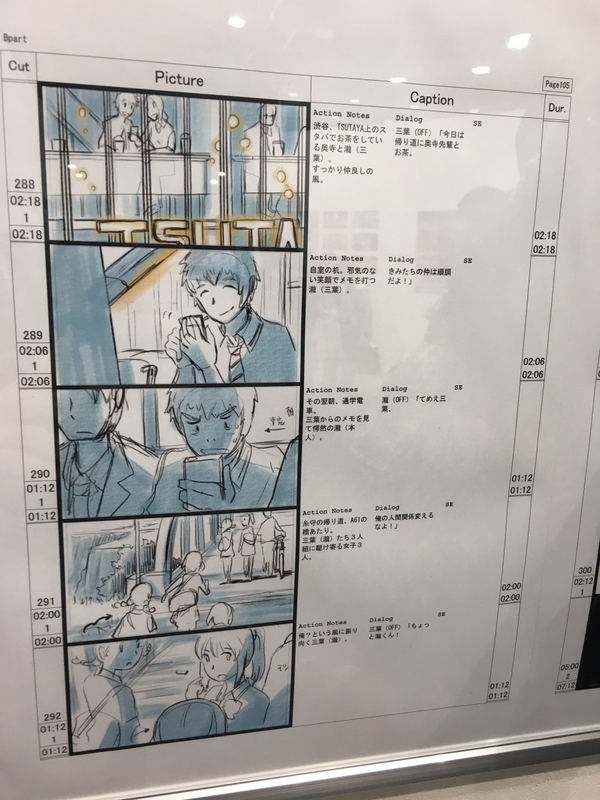 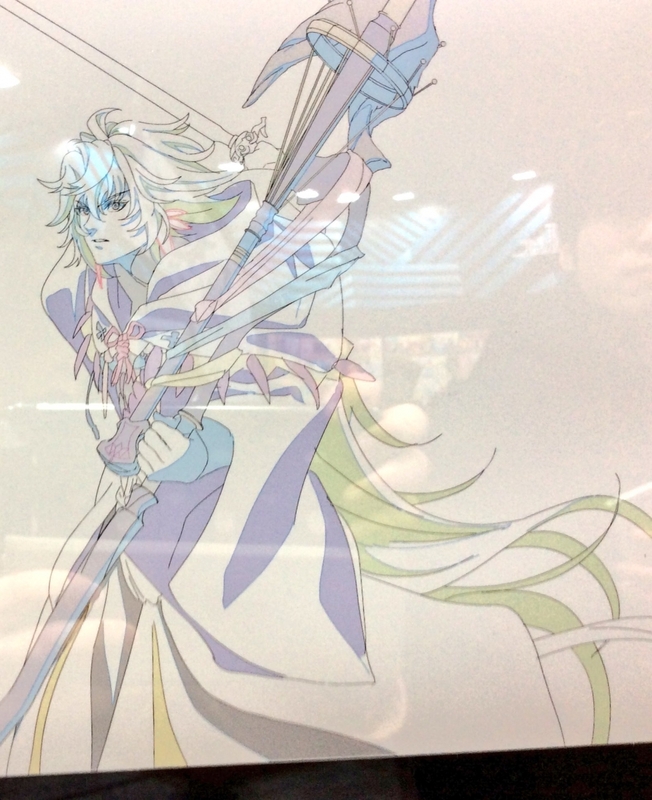 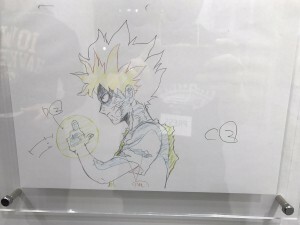 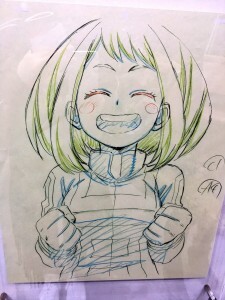 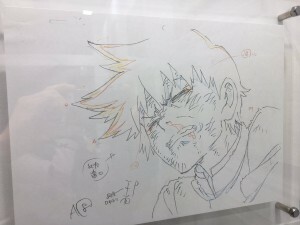 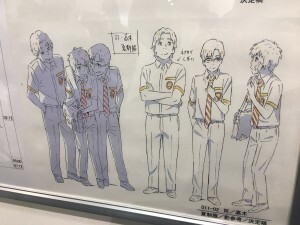 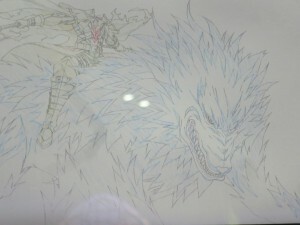 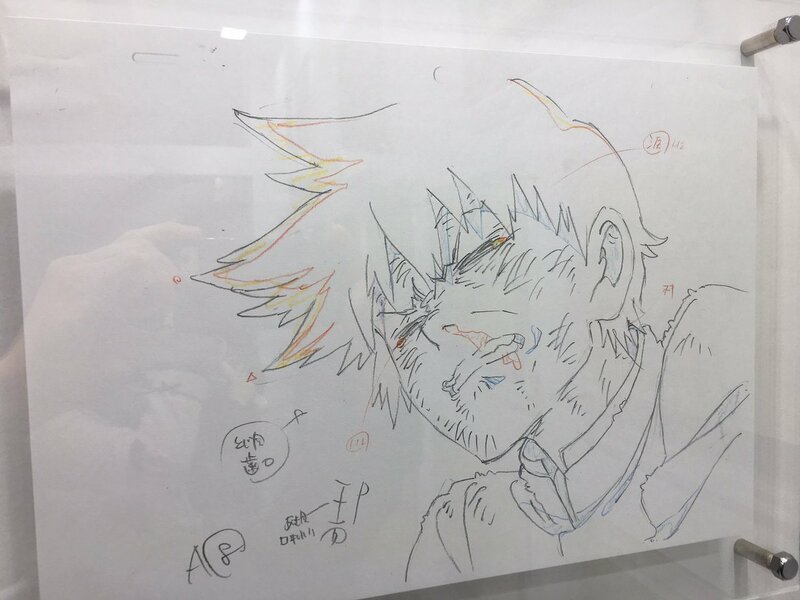 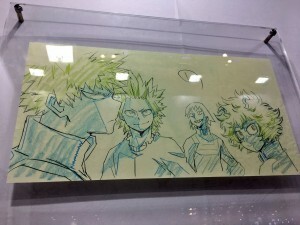 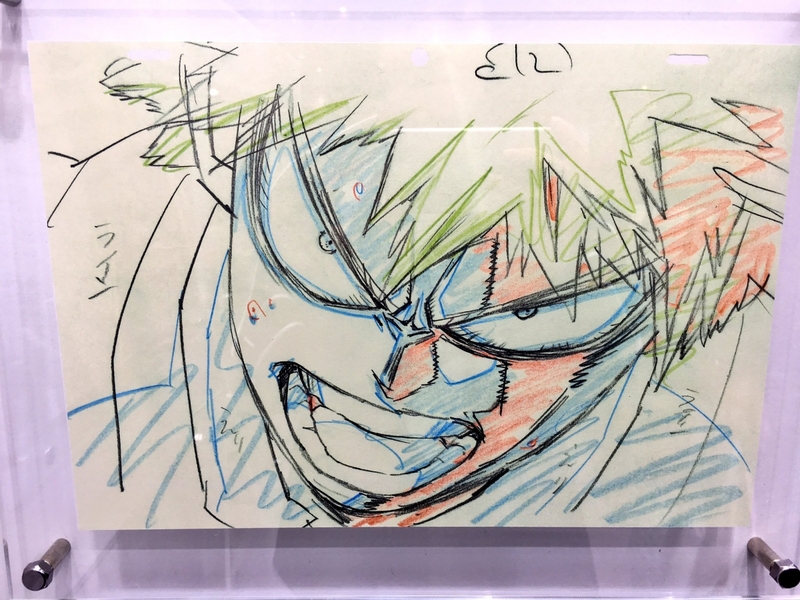 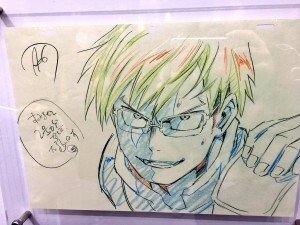 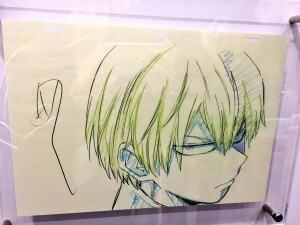 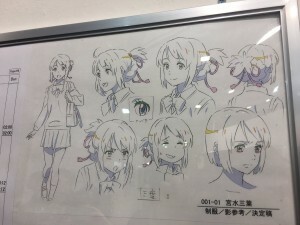 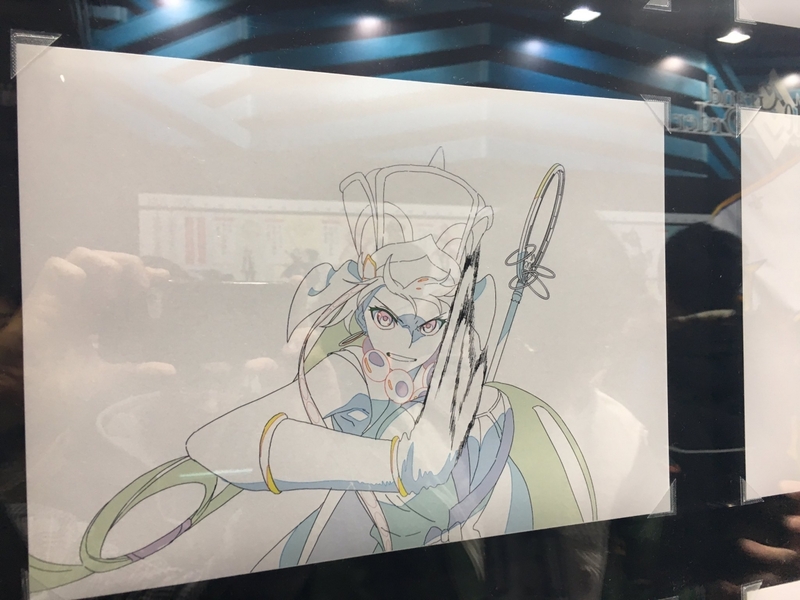 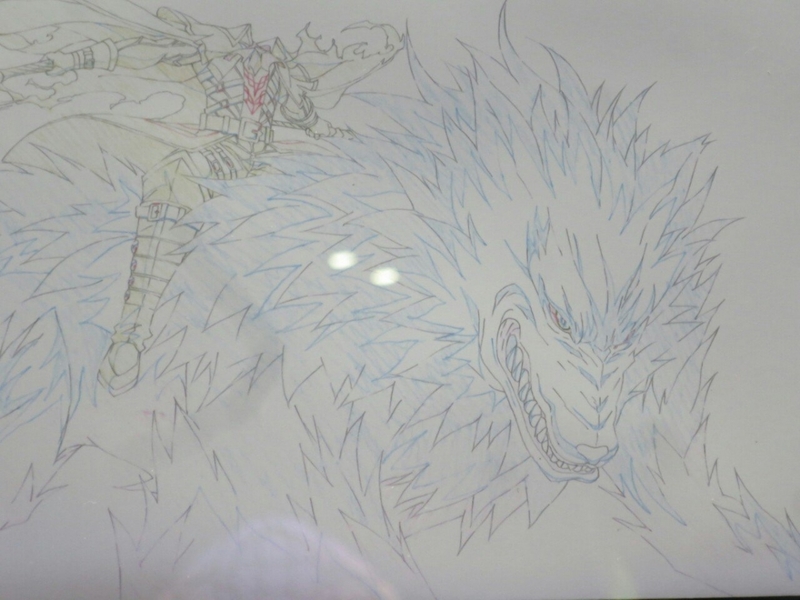 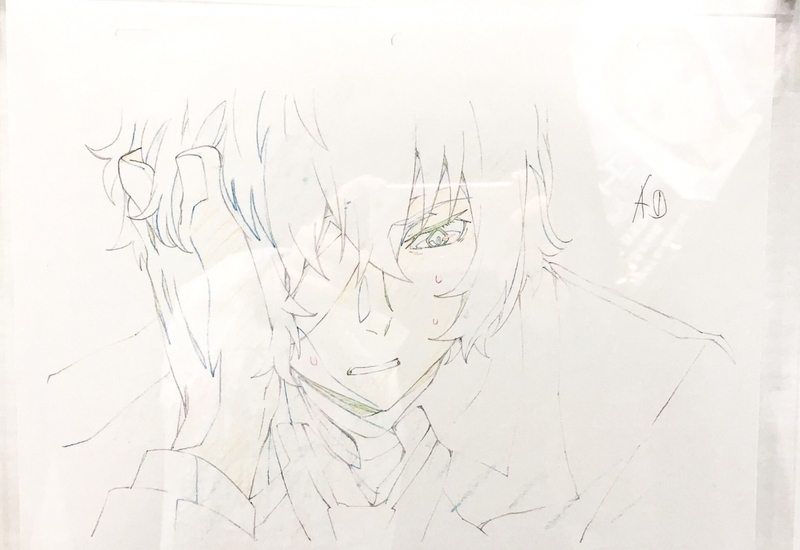 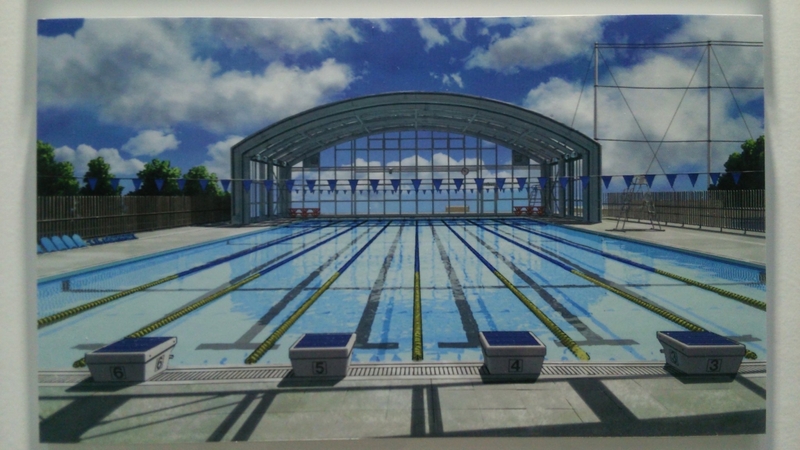 I do have a small question about the coloring of the genga. 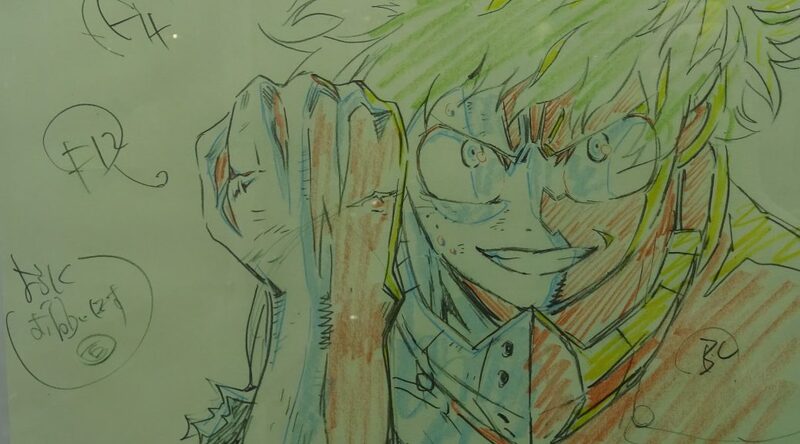 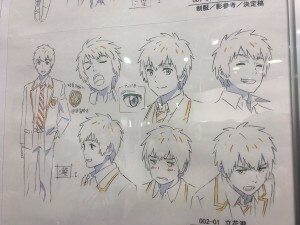 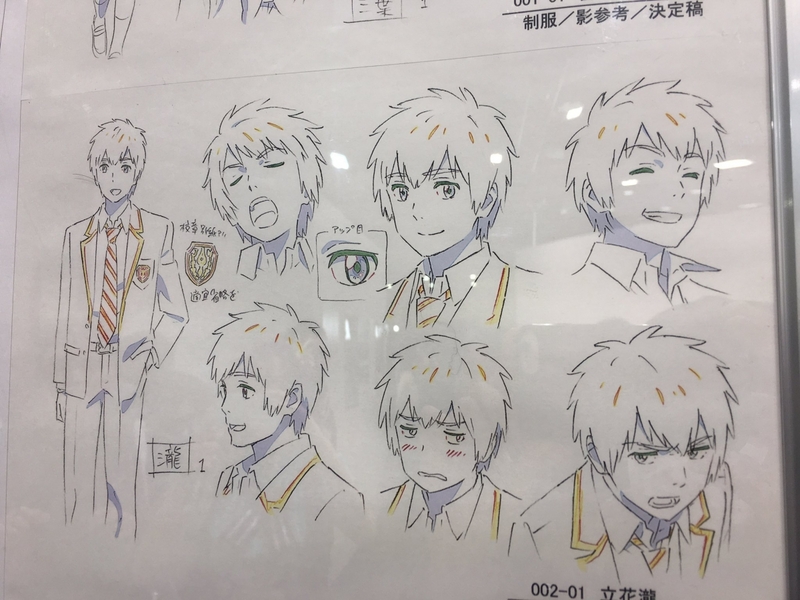 I assume the coloring indicates the shading, but is there a industry standard to what each color means or does it differ in each production or by key animator? 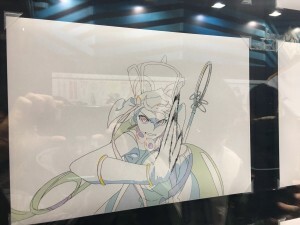 Since I was late and you already got a good answer about the standardized shadow/highlight/etc colors, I’d just like to add that the industry would be quite a mess otherwise. Since so much staff constantly flows from project to project, sometimes for just a few cuts, it would be a nightmare if all companies operated in fundamentally different ways. 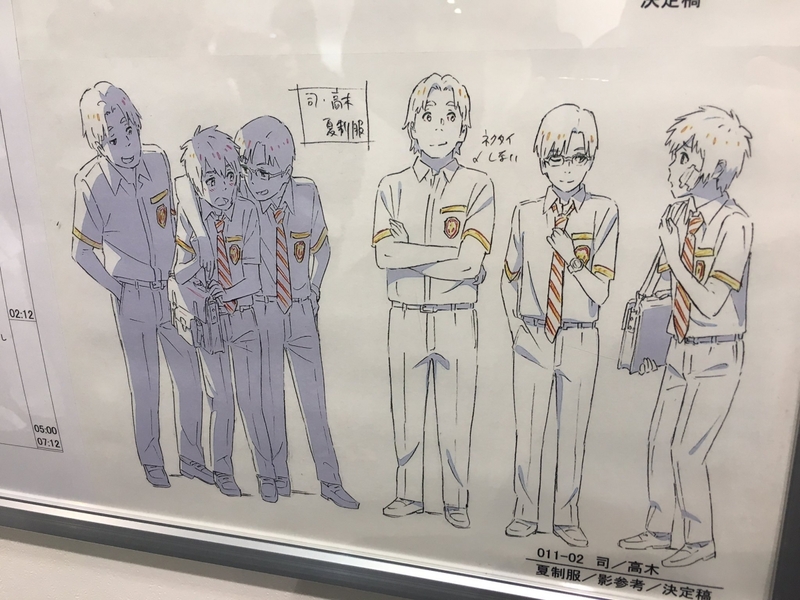 The same thing happens for the colors of the sheets themselves, there are certain standards (yellow for animation directors) but then there’s particularities (different tone of yellow, green or blue for chief animation directors).